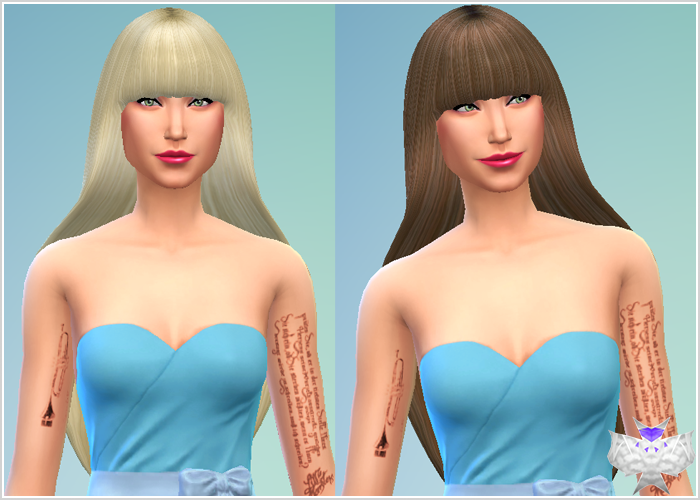 You make the best hair you have on The Sims 4 ever, I wanted to ask you to create at least one hair below. # Nevermind my English because I am Brazilian you have fans all over the world. Então vai pelo menos tentar fazer um da Lana? The bangs have some holes in it on my sim tho, which slider affects it? I tried to pull everything no joy yet. Ty, i may check the mesh myself later but i didnt dive into ts4 3d editing stuff yet.